Since I am going with the “holiday” theme . 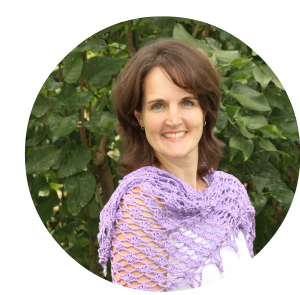 . . .in February I was inspired to create something for my daughters to wear that again combined a symbol of the holiday (Valentine’s day) and a crocheted knot. I found a great heart knot on You Tube created by JT of “Tying It All Together” (TIAT). His tutorial videos are excellent and so is his first book, Decorative Fusion Knots. 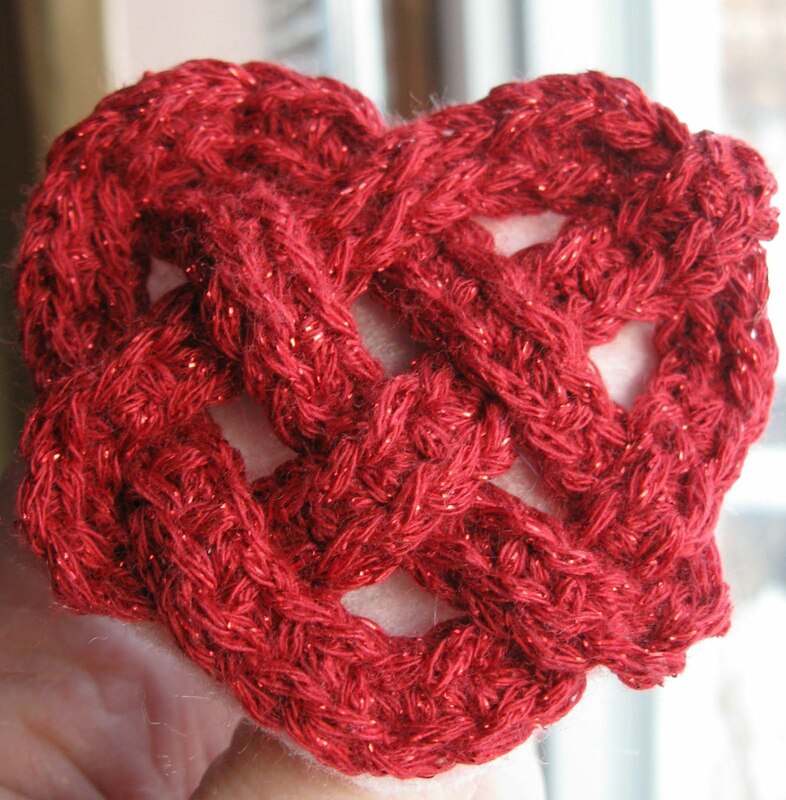 Here is my crocheted version of the heart knot that made a cute barrette for my daughters to wear to a Valentine’s Day party. I love your designs. I am very much in need of a tutorial on how to crochet a Triquatra knot. Do you have one?